Fits 1997-2005 Ford 5.4L 2-valve Trucks; SUVs - Return-Style System. 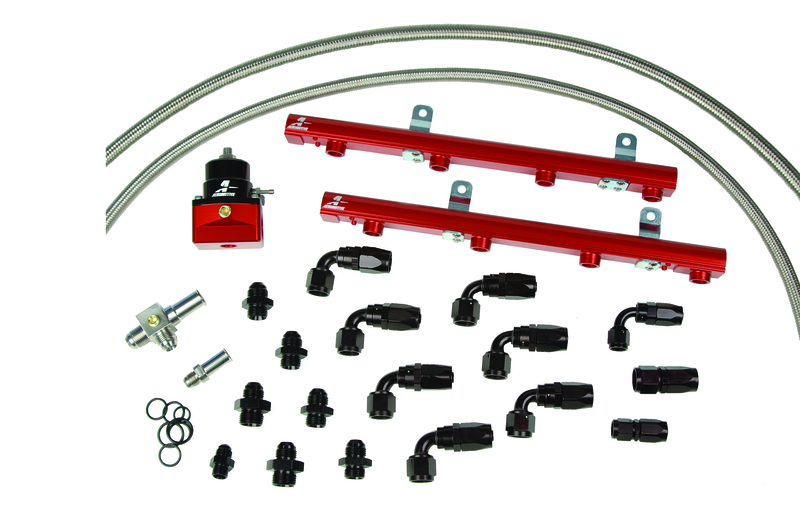 Includes Fuel Rails w/ mounting brackets; Regulator or Fuel Pressure Sensor Adapter. ORB fittings; hose ends. Stainless braided fuel lines.OEM supply and return adapters.